Fabio Camara and Anthony Alcantara were teenage pro skateboarders. Today, these Greensboro residents are making sure the Gate City raises the next generation of pros at Greensboro Parks and Recreation’s new Latham Skate Park. 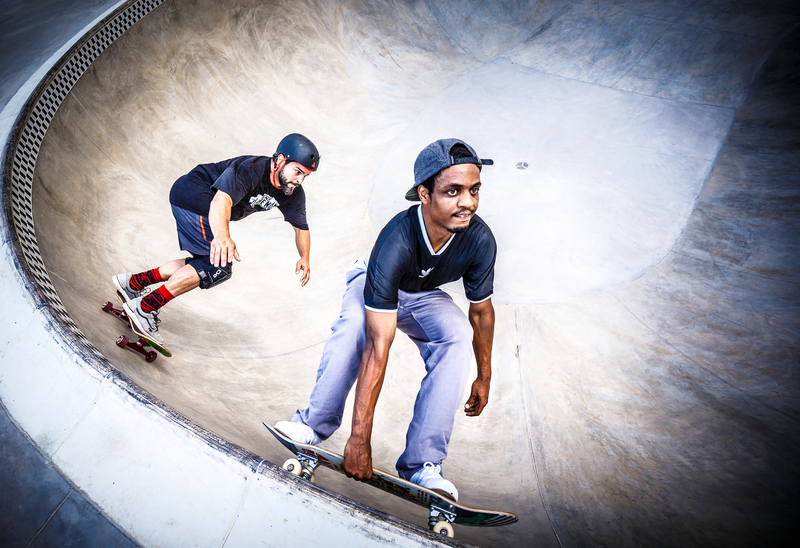 They were among the local skaters who worked with City staff to design the concept for Latham – a 10,000-square-feet concrete park with an eight foot flow bowl, a vert wall, an A-frame, rails, a snow plow, boxes and hubba ledges — and the smaller Glenwood Skate Spot. Both opened this year. Fabio owns a photography business and a cabinet company. But as a young man he was a sponsored amateur skater in his native Brazil. 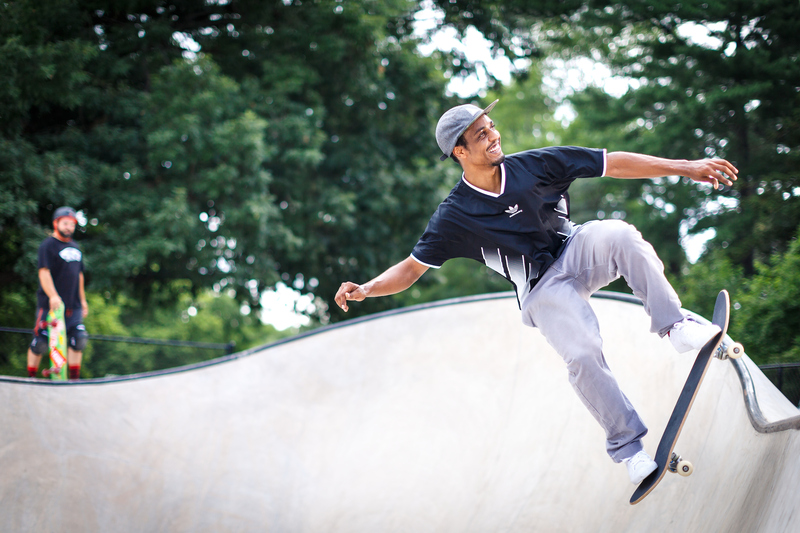 Anthony, a Queens native who works for a local accounting company, picked up skating when his family moved to the Dominican Republic. Both Anthony and Fabio earned sponsorships and skated in competitions as young men before pursuing other careers. Fabio relocated to Greensboro to attend Guilford College, one of the few schools willing to assist him while he got his Green card. He’s been in Greensboro ever since. When he turned 40, he decided to get back into skating. He started by building a park in his back yard. “It started as a mini ramp and it grew and grew,” Fabio says. Soon, he was hosting friends like Anthony and kids who wanted to learn. Within a few months, he reached out to Parks and Recreation to offer his expertise. Fabio says Greensboro is primed to become a regional draw for talented skateboarders. He can envision Thrasher Magazine bringing its annual King of the Road competition to the Latham Skate Park. He’d like to see companies sponsor local kids, providing them gear and opportunities to progress. He notes that Vans, a major sponsor of skaters, is owned by Greensboro-based VF Corp.